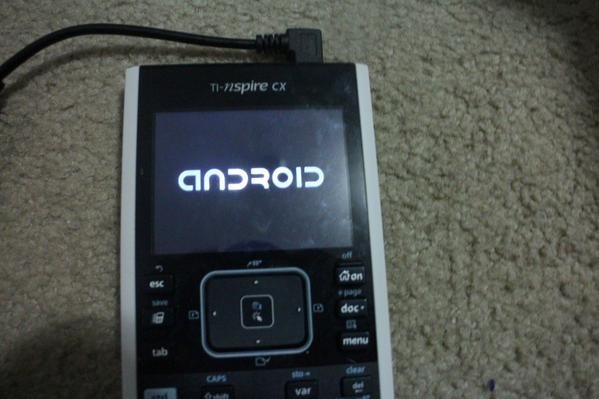 The Nspire CX is one of the more robust graphing calculators on the market. Its 320x240 3.5" color screen, 100MB of storage, and 64MB of RAM are pretty paltry when compared to even the earliest Android phones (the original HTC G1 had 256MB of storage and 192MB of RAM). But it's apparently juuuuuust enough to run Android 1.6 "Donut." Josh Max has made rapid progress on his pet project, quickly adding keyboard support and Wi-Fi functionality via the add-on USB dongle. 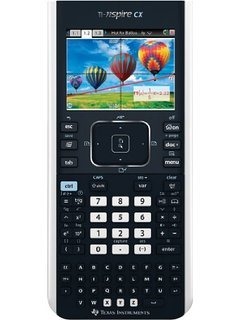 Graphing calculator enthusiasts are a tenacious bunch - they've been running custom programs and ported games on the relatively low-power hardware for decades. (Would you expect any less from the favored tools of scientists and engineers?) If you want to get this 2009 Android hotness on your TI, Josh has uploaded the open source files to GitHub. They should be compatible with both the Nspire CX and the more expensive CX-CAS models.